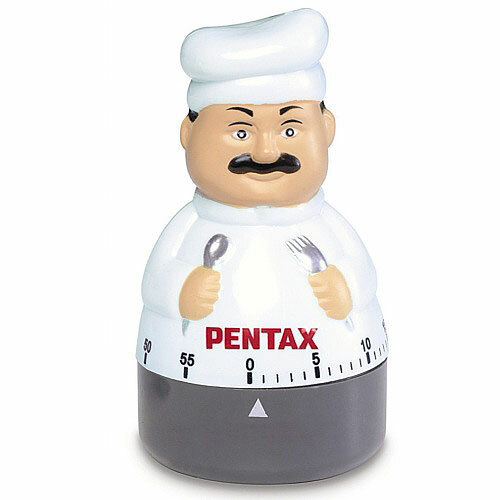 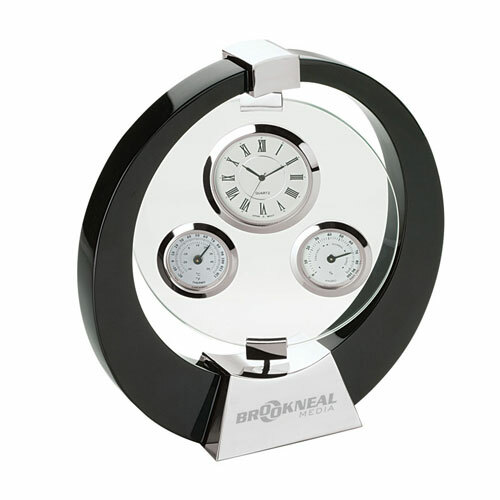 Unique Promotional Clocks, from sleek to whimsical, put your message or logo on these out-of-the-ordinary choices. 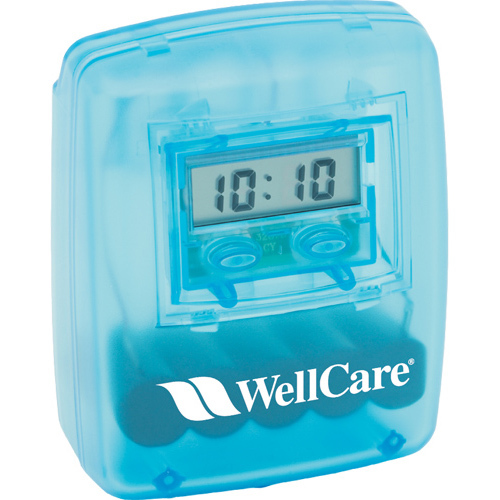 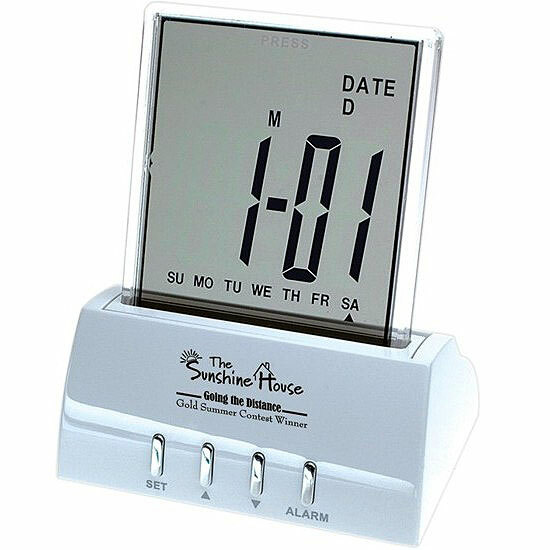 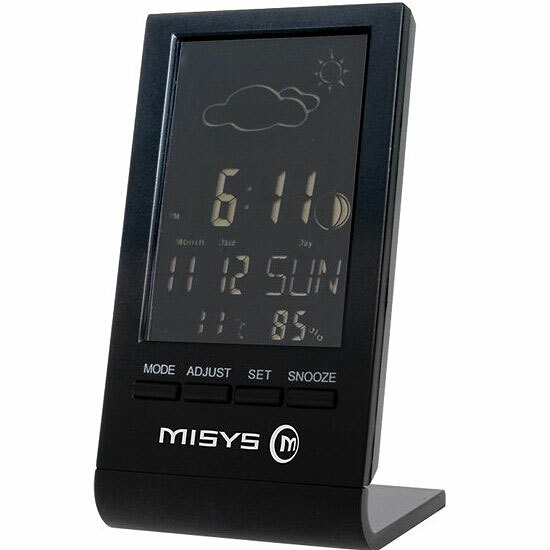 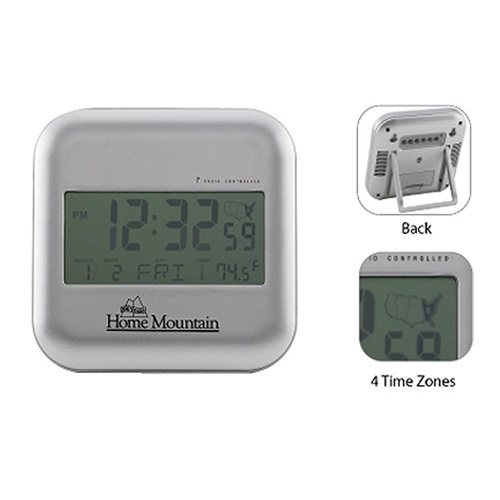 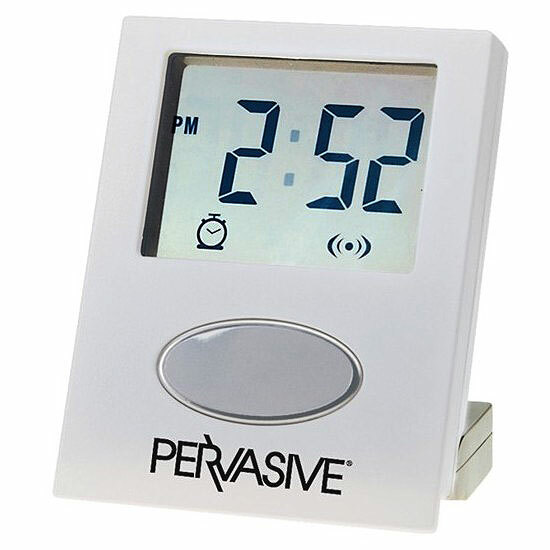 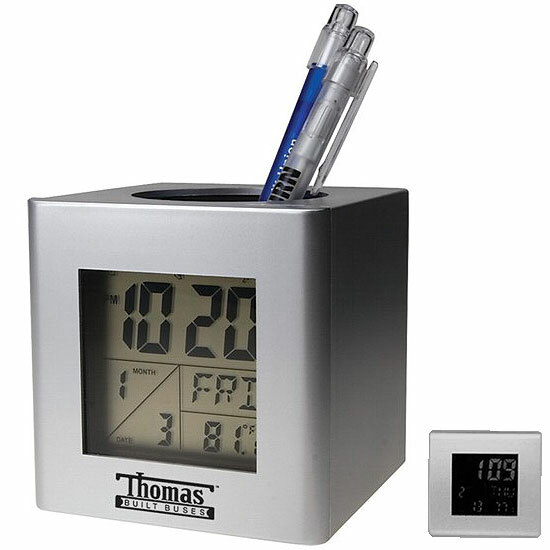 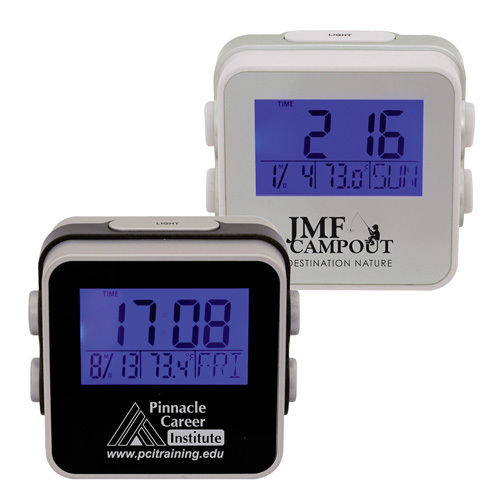 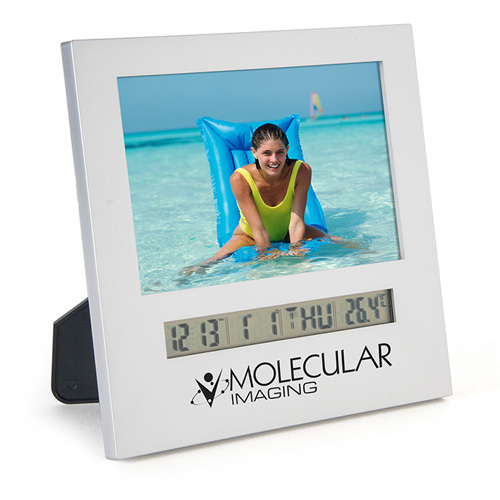 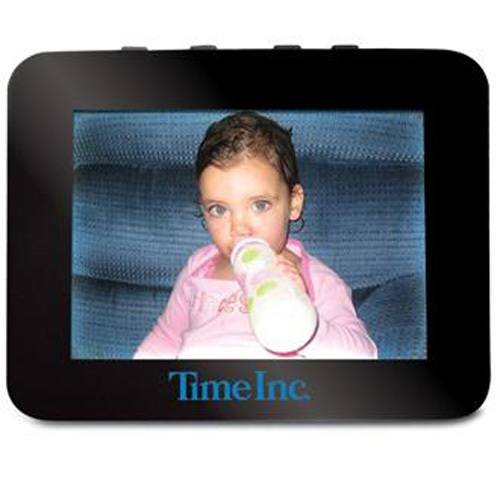 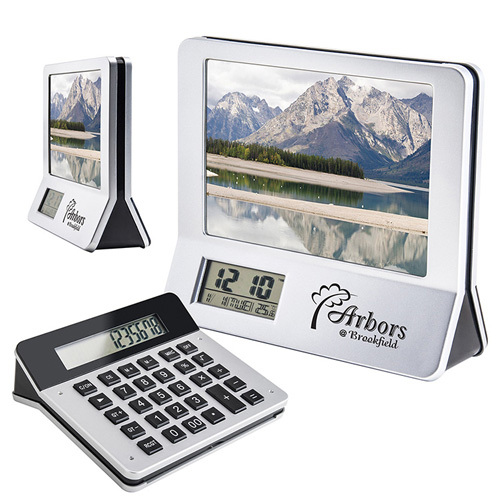 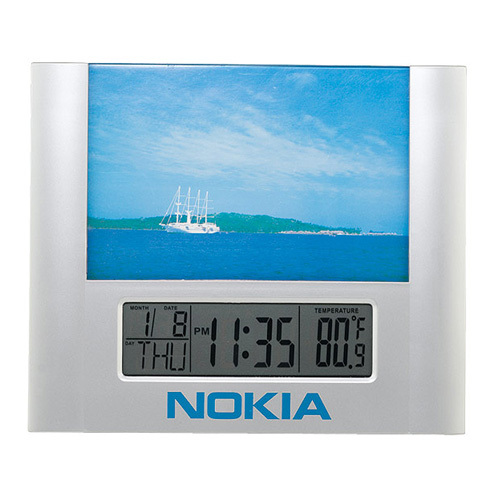 Choose a promotional clock with a unique function such as a digital atomic clock, travel alarm clock, digital frame, or weather station. 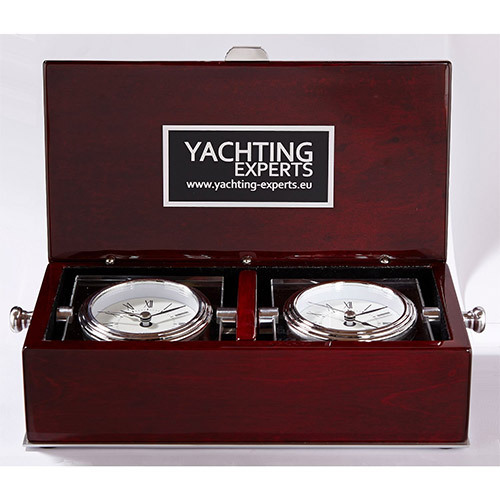 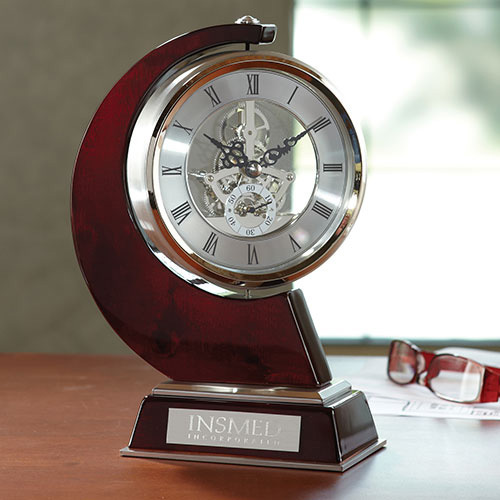 The possibilities are endless; find a unique custom timepiece to give some excitement to your next promotion. 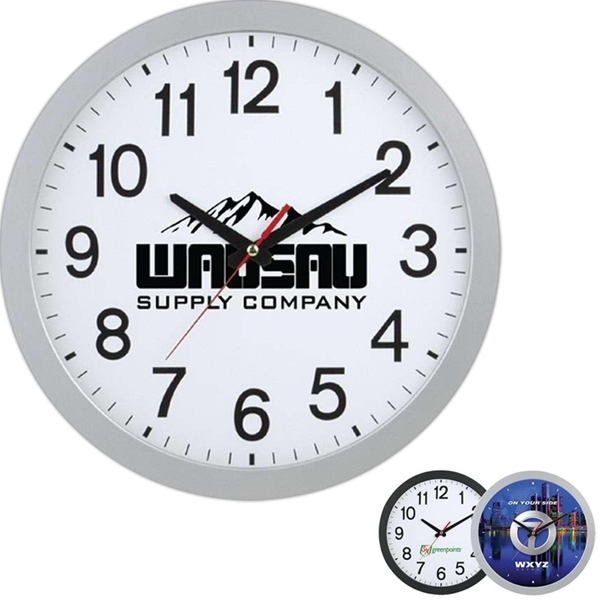 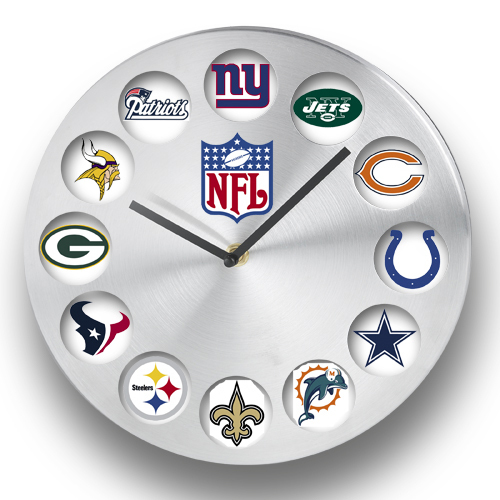 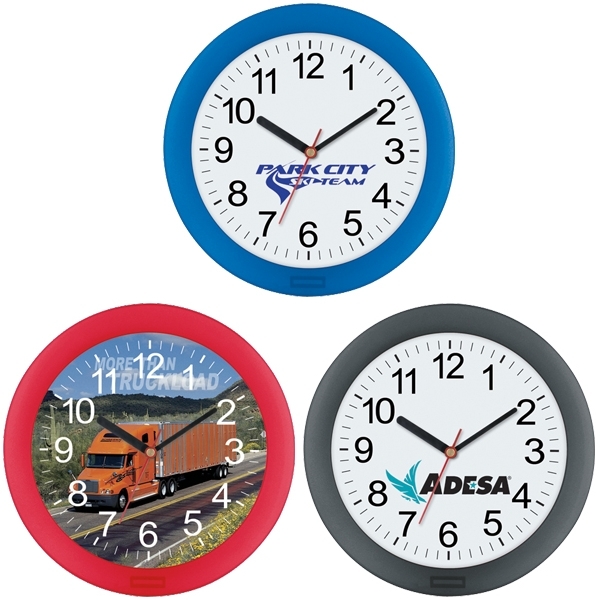 Custom desk clocks come in a variety of colors and styles. 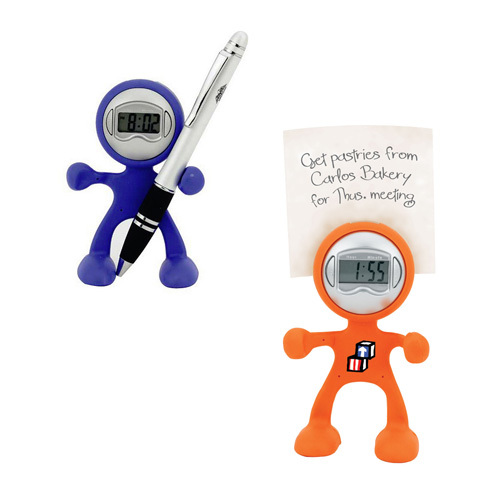 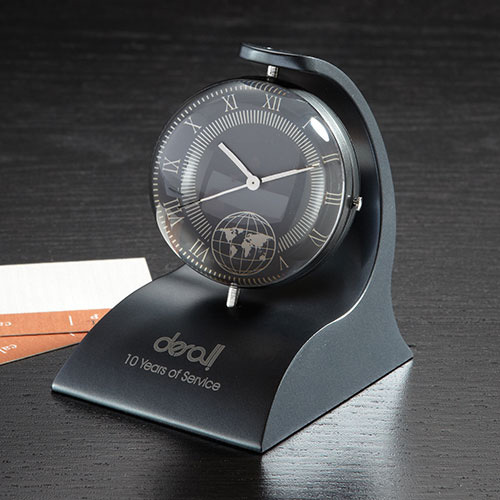 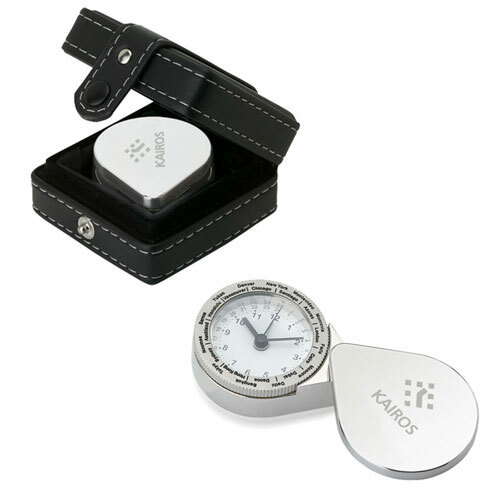 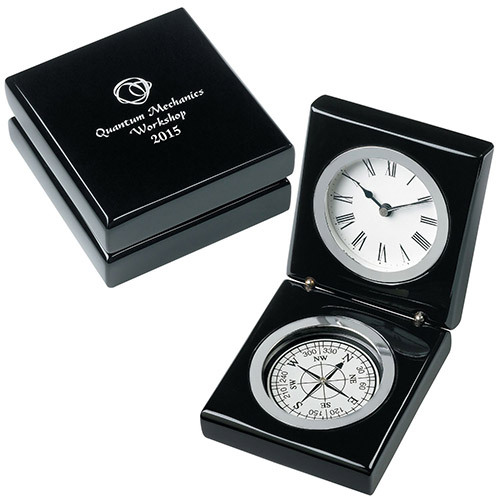 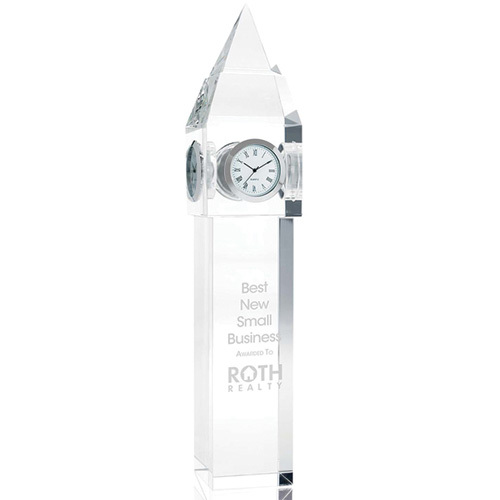 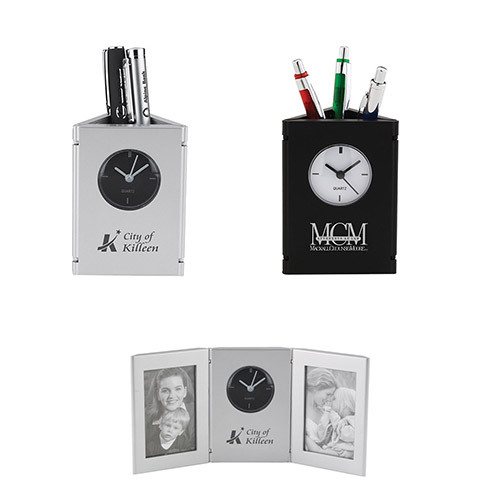 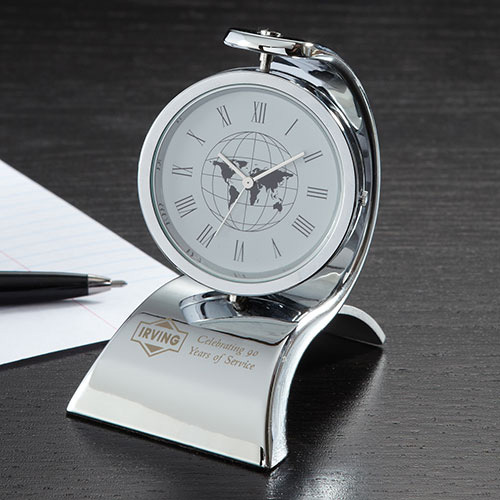 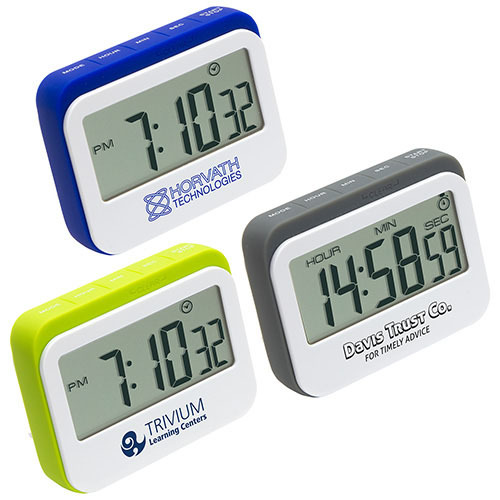 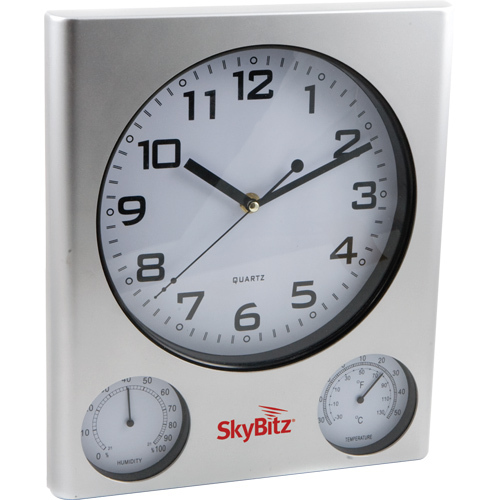 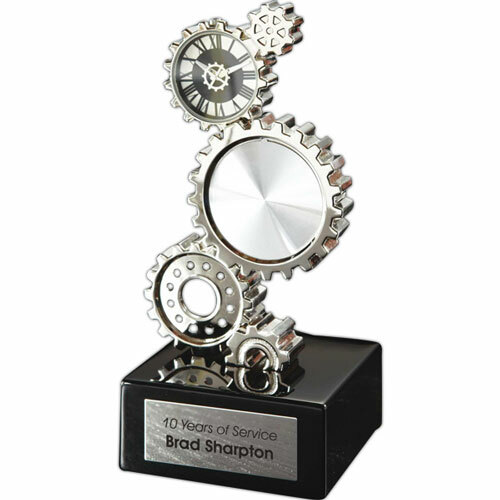 These logo desk clocks will suit your needs for recognition, awards, thank you gifts, corporate giveaways that will fit into your marketing budget. 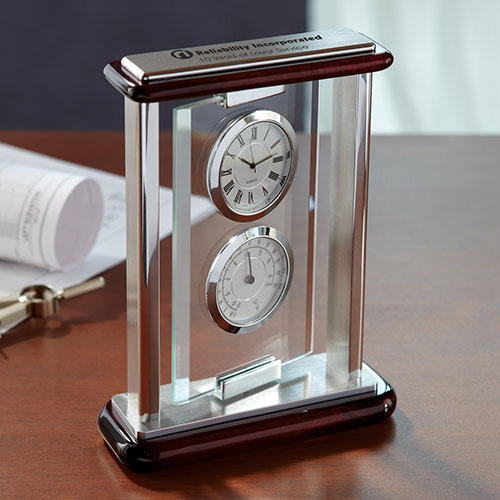 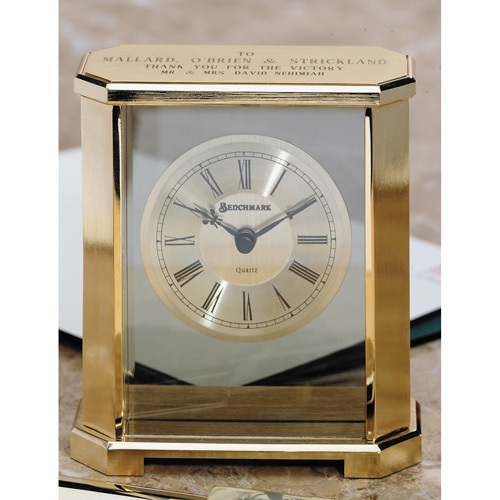 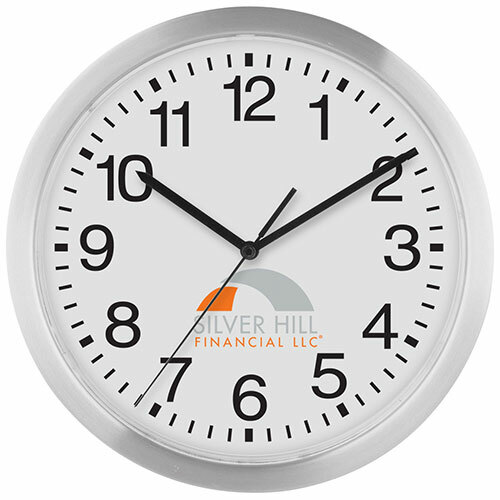 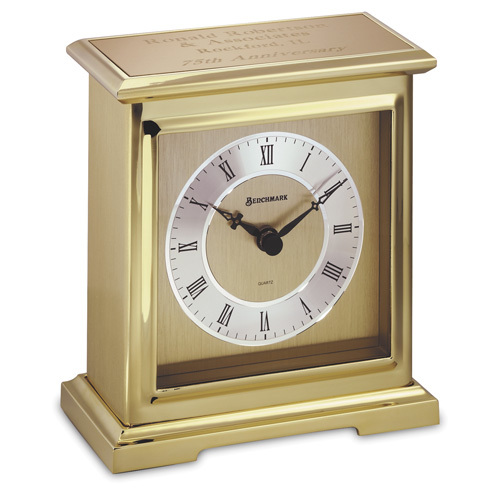 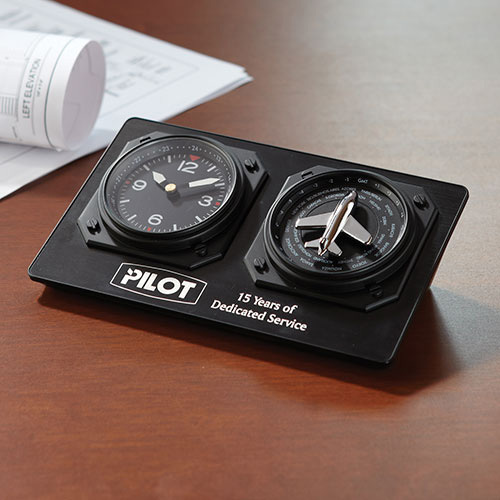 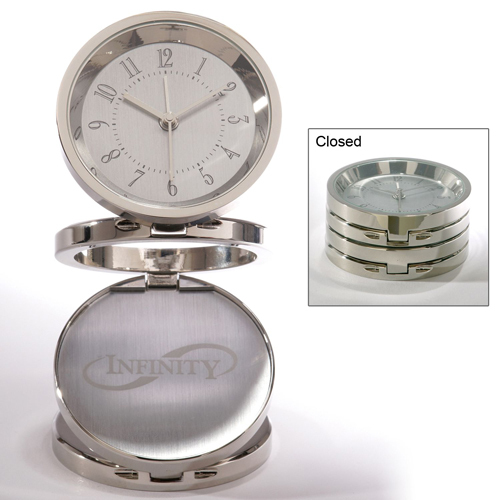 Custom desk clocks have stood the test of time providing an easy and decorative solution for the desk.